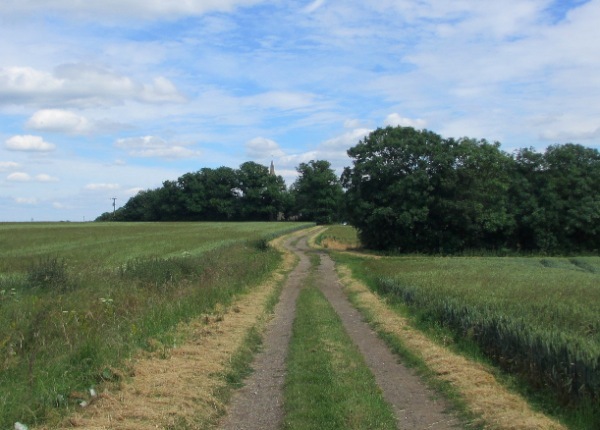 26th June: a beautiful summer’s day at Ferrar House Retreat Centre, Little Gidding, well known for its association with the poet TS Eliot. 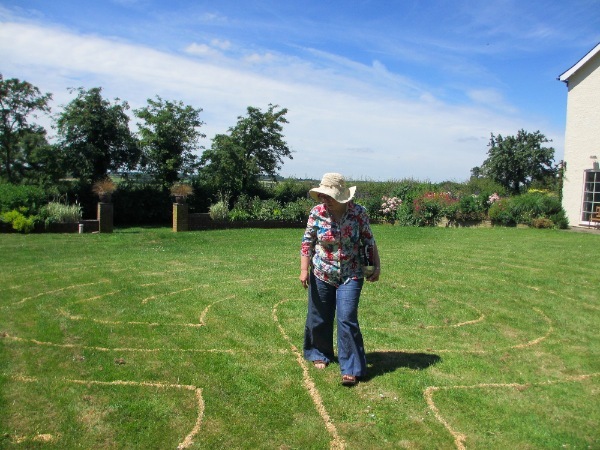 Many thanks to Judy Fox for taking care of running the Labyrinth Day for me while I was recovering from an operation, and to Wendy Skirrow for her enthusiasm, hosting the day and looking after everyone so well. 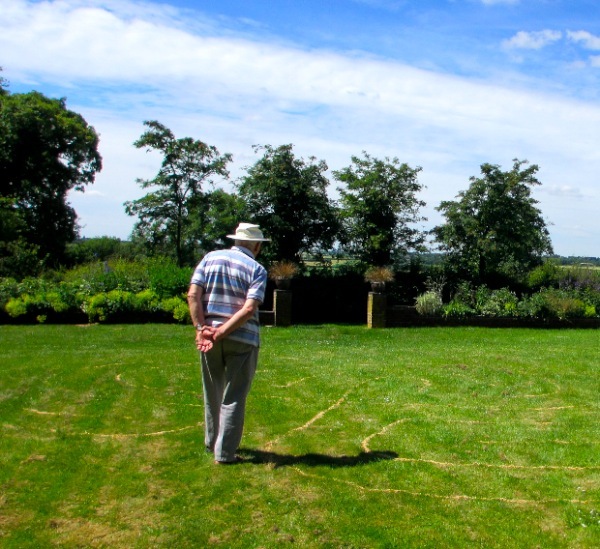 The group made a corn labyrinth on the lawn in front of the house and spent time reflecting and enjoying the natural beauty all around, especially the plentiful bees and butterflies visiting the garden. 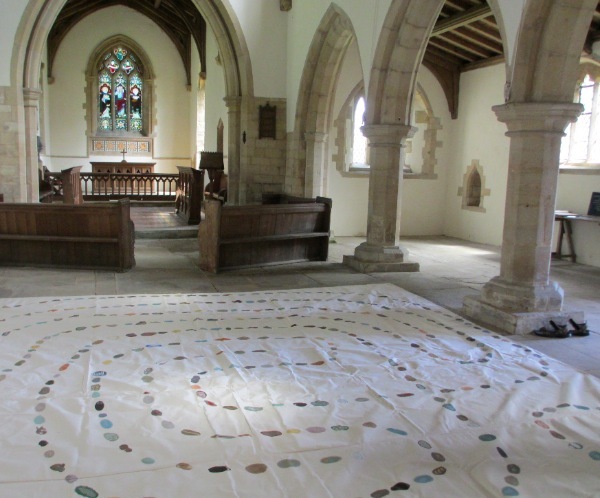 After lunch the group made the 10 minutes’ walk to Steeple Gidding, where the cloth ‘pebble’ labyrinth was laid out in the beautiful space of Saint Andrew’s Church.